Some of you wandered for years in the desert, looking but not finding a good place to live. Half-starved and parched with thirst, staggering and stumbling, on the brink of exhaustion. Some of us wake up feeling this way, don’t we? On the brink of sheer exhaustion, running on empty, in desperate need of spiritual feeding, parched beyond our imagination. We can be so obsessed with our need, we forget to look to the Source of all our aid. So we wallow in our need, unknowingly making the situation even worse with our independent thinking and short sightedness. Some of us need to hit rock bottom before we will be able to look up. When we look up, and ask for His help? Cry out with all that is within us? Then, in your desperate condition, you called out to God. He got you out in the nick of time; He put your feet on a wonderful road that took you straight to a good place to live. He rescues us. Plants our feet on solid rock, and helps us as we journey towards our eternal Hope at the end of the road before us. So thank God for His marvelous love, for His miracle mercy to the children He loves. He poured great draughts of water down parched throats; the starved and hungry got plenty to eat. Feel like the weight on your shoulders is too much? You can’t go one more step the way you have before? You are ready for God to move mightily on your behalf, if you will turn to Him and but ask. Your Hope is always waiting. 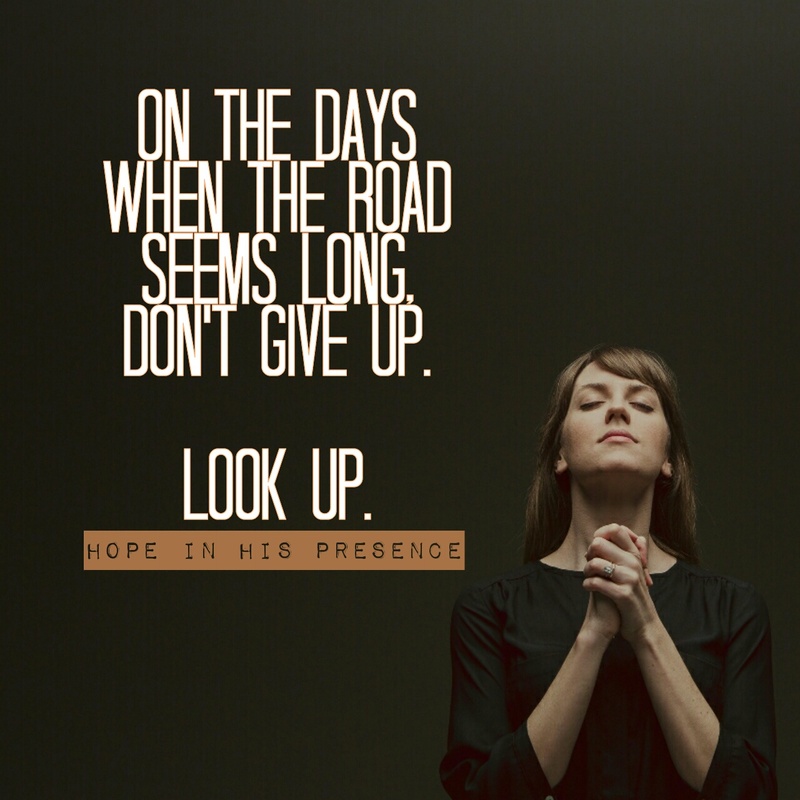 On the days when the road seems long, don’t give up.